Exterior Foundation leak repair involves the sealing of exterior walls which helps to stop the outside moisture and bad odor. It prevents the damage of property during floods. Also, exterior leak repair gives a very strong foundation to your house which indeed leads to long lasting life to your house. Foundation leakage hampers the value of your property which can lead to low listing price and also most of the buyers ask sellers to fix their basements before handing over the property. Our process includes excavation, power wash, waterproofing cracks, applying sealant and Landscaping at last (if requested by the customer). 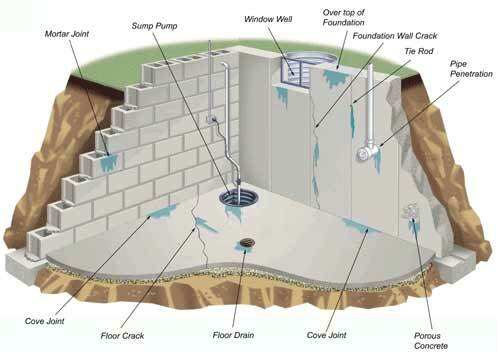 Interior Foundation leak repair involve the process of identifying the area of water discharge and the sealing it in proper manner. Most of the times leakage of basement is caused by hydrostatic pressure which forces water to go up and down through basement tiles or floor and cause leakage in basements. Ace Landscape Construction professionals identify the spot and repair the tiles or cracks. Also, if perimeter id broken then our professionals repair it in proper manner and connect the outside leakage water to appropriate drainage system. 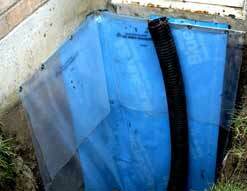 Hence, preventing the property from Foundation leak repair damage.